Pest Control Virginia Beach | Accurid Pest Solutions Inc.
We Are Your #1 Pest Control Company in Virginia Beach, VA! As the #1 pest control company in Virginia Beach, Accurid Pest Solutions Inc. understands how pests can ruin your home and property. Pest like termites, ants, and cockroaches can wreak havoc in your house if you do not take immediate action. Time is of the essence because they multiply quickly, and before you know it, your entire house might be infected. They can cause health problems in the home, which can put you and your family at risk. Virginia Beach is the ideal breeding ground for unwanted pest due to the climate. There is a solution to this problem, Accurid and our qualified exterminators, are just a phone call away. You can trust our professional exterminating team to eradicate the problem you are dealing with. We also provide solutions like moisture control services and shield installations that will limit and control the spread and or infestation. We have a team of highly qualified technicians that are ready to help. Give us a call today for a free quote. Why is Accurid Pest Solutions, Inc. the Best Pest Control Company Virginia Beach has to offer? Includes four preventative services per year. Each service is unique and will be accompanied by a detailed inspection report, providing you with our findings and treatment recommendations. Three of your treatment visits will focus on the exterior of the structure while the fourth treatment, the winter service, will focus on the interior when pests and rodents tend to migrate indoors. 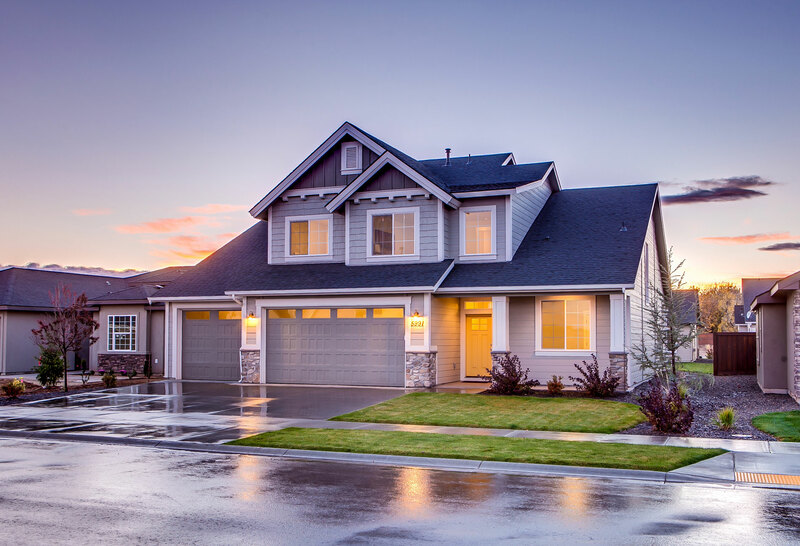 All general pests and rodents are included in the Quarterly Service Home Maintenance Program and an Accurid pest management professional will treat additional areas on the property such as mailboxes, play sets, pool houses and storage sheds, as needed. Ladder work up to 8 feet, tree pruning and the sealing of cracks less than 3 inches wide are also included if warranted to treat the pest problem. An added bonus to the Quarterly Service is a free termite inspection & termite prevention once a year. Pest excluded from this service include bedbugs, termites, powder post beetles, flying insects & exterior located fleas & ticks. Provides a substantial value for the homeowner. Those participating in this program will receive services from March to September with the focus on the exterior of the structure. The Seasonal Service is designed for those who only experience pests during the warmer months & only want to share their home with invited guests. For a limited time, The Seasonal Service comes with a once a year free termite inspection & prevention. Carpenter ants, bedbugs, termites, powder post beetles, flying insects & exterior located fleas & ticks are not included in this service. In addition, treatment of external structures not connected to the treated structure, ladder work and pruning of trees are not included in this service. These exclusions help to keep the cost of the Seasonal Service plan down. Should one of the excluded pests become a problem, however, discounted rates are offered to clients with Seasonal Service Maintenance Programs. Provides a substantial value & peace of mind for the homeowner. Those participating in this program will receive 2 services per year with the focus on the exterior of the structure. For a limited time, The Bi-Annual Service comes with a once a year free termite inspection & prevention. Carpenter ants, bedbugs, termites, powder post beetles, flying insects & exterior located fleas & ticks are not included in this service. In addition, treatment of external structures not connected to the treated structure, ladder work and pruning of trees are not included in this service. These exclusions help to keep the cost of the Bi-Annual Service plan down. Should one of the excluded pests become a problem, however, discounted rates are offered to clients with Bi-Annual Service Maintenance Programs. Provides a substantial value & peace of mind for the homeowner. Those participating in this program will receive 1 service per year with the focus on the interior & exterior of the structure. The Annual Service is for those clients who want the peace of mind that their largest investment is being looked after for any pest issues along with a general treatment. An added bonus to the Annual Service is a free once a year termite inspection & prevention. Carpenter ants, bedbugs, termites, powder post beetles, flying insects & exterior located fleas & ticks are not included in this service. In addition, treatment of external structures not connected to the treated structure, ladder work and pruning of trees are not included in this service. These exclusions help to keep the cost of the Annual Service plan down. Should one of the excluded pests become a problem, however, discounted rates are offered to clients with Annual Service Maintenance Programs. Provides treatment for a specific pest. Those participating in this program will receive 1 service with our strategically designed treatment targeting their specific pest issue. All one Time Pest Programs come with a 60-day warranty. If within 60 days you are still experiencing the pest issue Accurid originally treated for we will come back & retreat your home at no cost to you. For a Limited Time, The One Time Service Program comes with a free Termite Inspection.